Love typography and the handmade movement? 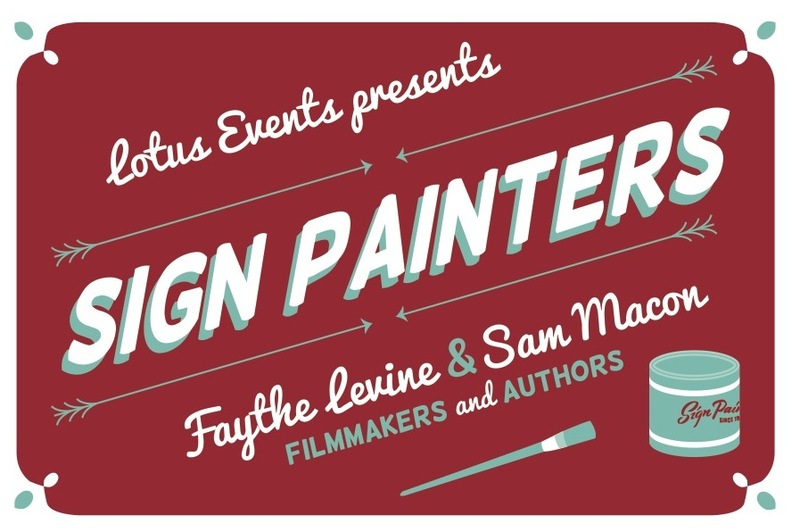 We are excited to celebrate the tradition and the time honoured art of sign painting by hosting the Canadian premiere of the documentary, the Sign Painter Movie by Faythe Levine and Sam Macon on Friday, June 7th and Saturday, June 8th at the Rio Theatre in Vancouver. There was a time, as recently as the 1980s, when storefronts, banners, and even street signs were all hand-lettered with brush and paint. You can see some great examples locally on the windows of Rainier Provisions, Old Faithful Shop, and Harvest Community Foods to name a few. 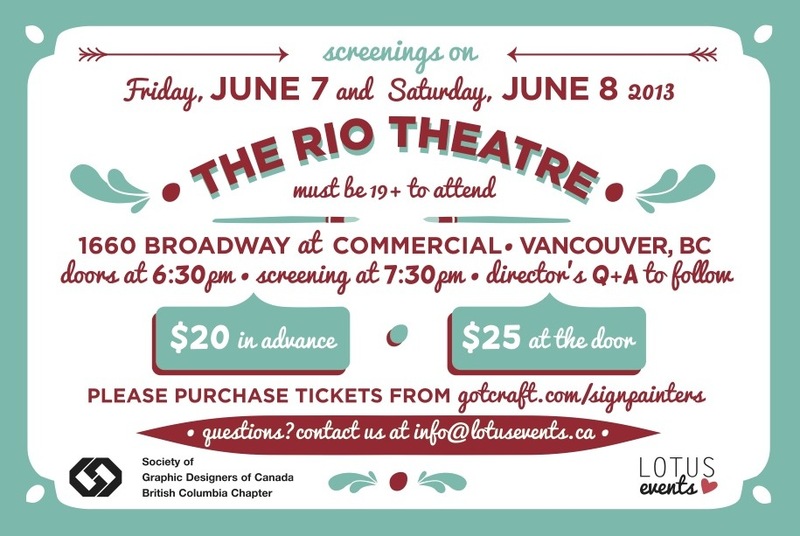 We are pleased to welcome The Society of Graphic Designers of Canada – BC Chapter as a sponsor of the event. To celebrate, head on over to the GDC/BC Facebook page, post a photo of your favourite hand-painted sign, and you could win a pair of tickets to the event (valued at $50).